Maybe you’ve seen a game of poker on television when flicking through the channels, or maybe you’ve played a few hands in the casino. You’ve probably heard talks of “bluffs” and “making reads” on the opponent which are touted as in-person psychological tactics to determine where your opponent stands. While everyone is wearing sunglasses, hats, and wearing their best poker face – everyone else is trying to read the situation and take into account all of the action on the previous hands to help them make a decision which is an important aspect of live poker. You need to remember what the guy sitting next to you did over the past 10 hands to help you make a decision on this close call, and if you didn’t remember what happened you’re out of potentially critical information. If you’re anything like me, you’ll certainly NOT remember back 10 hands. 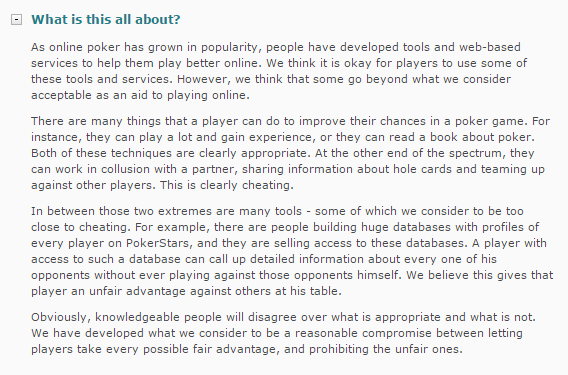 So what about online poker? You can’t read anyone’s face, note their posture, their vocal patterns, or monitor physical habits. What’s interesting is in the past few years online poker players have started using tracking software more abundantly to give them an edge while playing online. Some poker sites like PokerStars have even went to lengths to make these types of tracking software illegal as they state they provide an unfair advantage. Essentially this is what all of the tracking softwares utilized do. They gather statistics and information on your opponents and the more stats you have the more accurate the software readings can become. 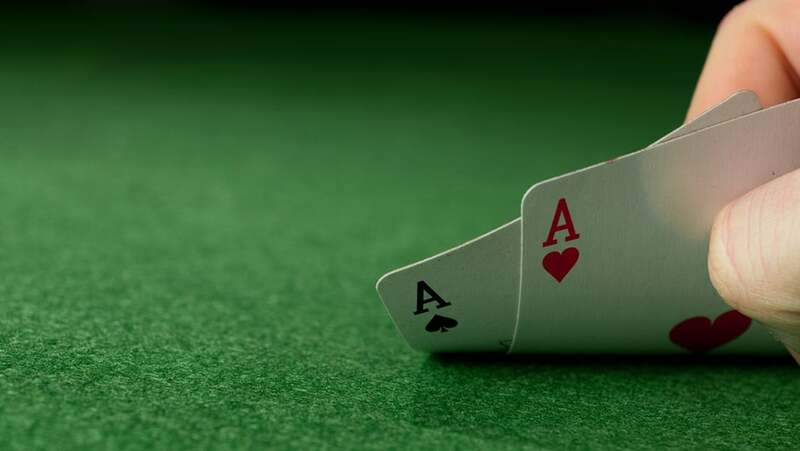 Say you play 1000 hands at a specific online table, you could gain information like how often a player bets from a certain seat on the table, how often he folds to a raise, what percent of hands he’s playing, and more information on their flop, turn, and river card behavior. Since tracking software referred to as a HUDs (Heads Up Displays) are running so rampant across all of the online poker sites, what can they really do to shut them down? It can be difficult to detect the software and require a fair amount of internal resources. One thing to consider is that it still does require a vast amount of knowledge to make use of these statistics. It’s not like the players are getting a statistic that gives them instant decision making power. The HUD might display that the player sitting in the first position opens 20% of hands – but how do you take this into account? You still need to analyze the situation, what cards you have, how your cards play against the potential hands your opponent is playing, and also a lot of information regarding odds and the amount of money in play. It is however very factual that if one player has been tracking hands or has access to a database of hand history will have an advantage over non-tracking opponents. The response to this point is that maybe the sites should integrate this tracking into the game, and potentially monetize the fact that players could use their built in display rather than resorting to third party HUDs. I’m a big sports fan and am 100% against performance enhancing drugs and playing outside the rules. But in the case of tracking software and HUDs, they are beneficial to the game of poker as they do more than provide in-game statistics. They’re not illegal, they’re not dangerous and they’re freely available. They record the results of all hands for players to review after the fact, and analyze to improve their game. Every player who is able to play online poker is also capable of downloading HUDs like Jivaro – which is completely free for use. So then the final question is should players looking to analyze the game more deeply and review their game be penalized because other players do not download the software?